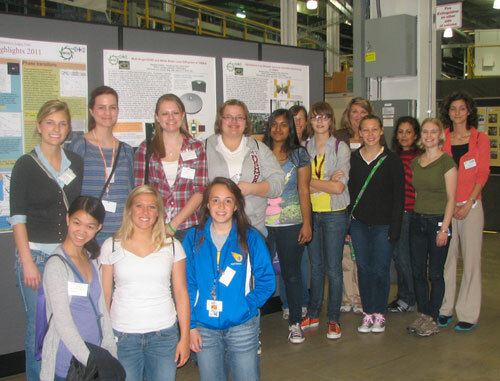 Upper level high school women toured HPCAT on April 19, 2012 as part of the Science Careers in Search of Women Conference at Argonne National Laboratory. HPCAT Beamline Associate Genevieve Boman gave a presentation on high pressure science at HPCAT, and discussed her own science background and role as beamline associate. 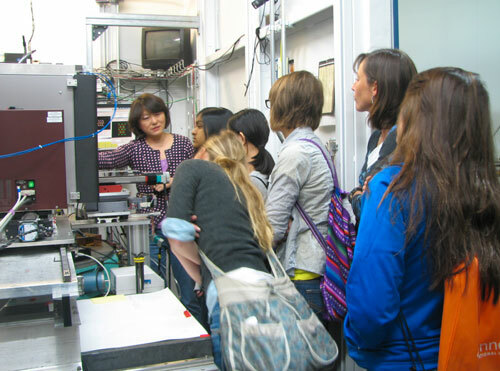 Beamline Scientist Yue Meng headed a tour at the 16BM-D hutch, where CDAC Scientist Maddury Somayazulu (Carnegie) was conducting an experiment. He spoke with the girls about his experiment on single crystal diffraction of xenon compounds.